It has been quite some time since our pick for the best Twitter client for the Mac received an update. Tweetbot 2 has been our favorite Twitter client since the moment it was released thanks to its efficient and whimsical design, power-user features, and muting and filtering options. 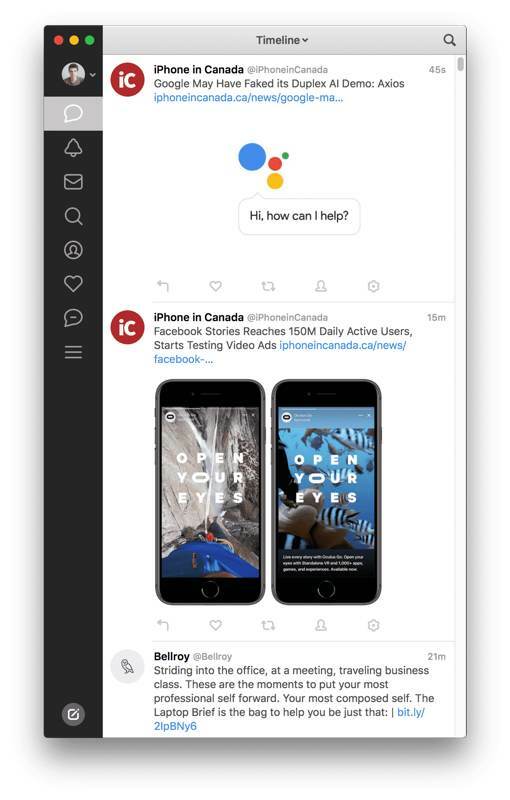 Despite Twitter’s continued attempts to limit or stop third-party developers from creating unique Twitter experiences, Tweetbot 2 still had a certain approach (i.e. chronological timelines!) that kept bringing us back. This all being said, Tweetbot 2 started to feel a little dated recently. 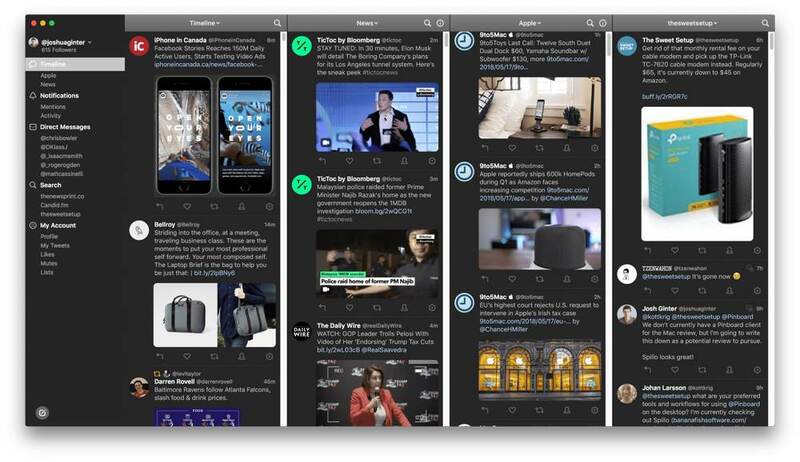 Tweetbot’s creators must have felt the same way, as Tweetbot 3 for Mac debuted on Tuesday with a fresh new design, improved and more flexible power user features, new accessibility features, and an all new dark mode. Tweetbot 3, first and foremost, is a fresh coat of paint. The app feels much like Tweetbot 2, ensuring no major departure from what makes the Mac app so successful. Instead, Tapbots has refined the look of Tweetbot 3, eliminating some of the design aesthetics from the Tweetbot 2 era and moving some main buttons to improve the UI. The top gray bar has been modified, as has the look of the (now expandable) sidebar. Each tweet in the timeline now has its own reply, like, retweet, profile, and sharing options. The compose button has been moved from the top right corner to the bottom left corner. Tweetbot 3 also comes with a new, much more aggressive app icon, perhaps signifying a few things people have experienced on Twitter in recent memory. Perhaps one of the most noticeable changes is Tweetbot 3’s new dark mode. A quick change in the preferences menu nets you a dark-gray theme sure to be easier on the eyes at night. 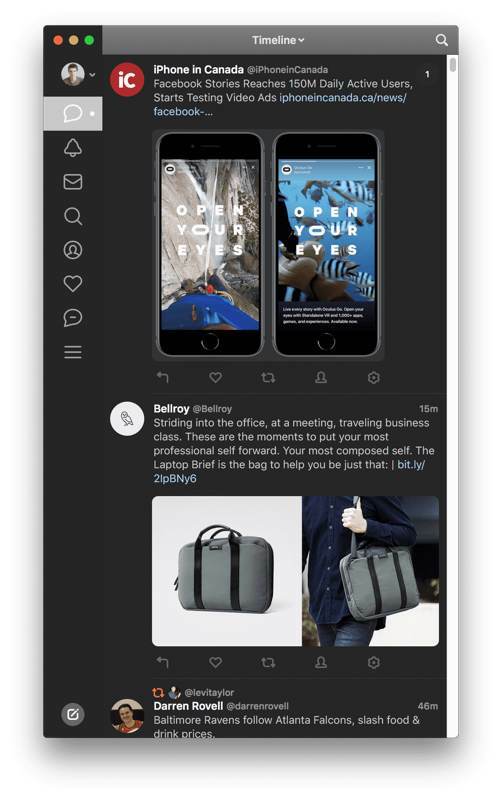 We’ve seen some developers move towards true black themes like on the iPhone X (the most recent update was Bear 1.5’s Dieci theme on the Mac), but Tweetbot 3 stays away from blacks and any polarization that could bring. The left sidebar has been completely rethought. It can now be expanded beyond a simple navigation column and provides more room for power users to move around the Twitterverse. Under Timeline, you’ll now find options to quickly jump into any of your predefined Twitter lists. 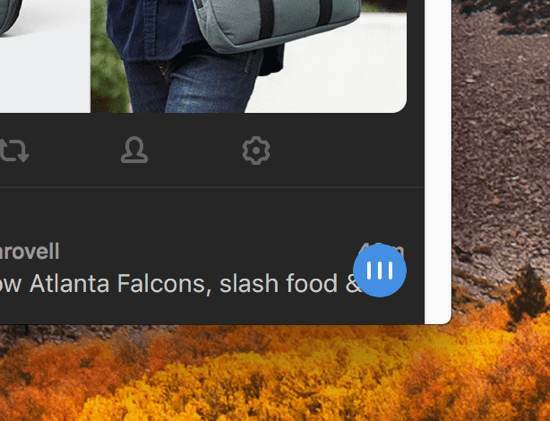 Notifications has specific columns now for mentions and other activities, and you can jump into any direct message directly from the sidebar under the Direct Messages heading. When expanded, the left sidebar looks much busier and more complicated, but it provides greater direct access for those looking to move through Twitter at a faster pace. Tweetbot 2 always allowed you to string together 2, 3, 4, or more columns to provide a sort of Twitter headquarters to watch everything happen at once. Tweetbot 3 takes accessibility and flexibility of these multi-columns to the next level. In the bottom right-hand corner of any view, a little blue column button springs up. Click and drag that button to the right to expand as many columns as you need. Once you’ve dragged out the columns, you can re-order the columns or change what is displayed in each column and make the app completely your own. I like having a column dedicated to a saved search, as well as another few columns for staying on top of news and updates. Others who have way more activity and reach than I do may want to stay on top of mentions or retweets in a separate column. The options are endless, at least to the extent that Tweetbot can access Twitter’s API. Many of the smaller improvements in Tweetbot 3 would actually top my list if I wrote this article personally. In general, these smaller improvements culminate in a more cohesive feel and experience inside Tweetbot 3, staying true to Mark Jardine’s and Paul Haddad’s goals to “simplify and improve” the app. Conversely though, there are a few eliminated features that have left me scratching my head. Accessibility improvements: Users can now add a text description to an image before uploading and tweeting, allowing any Twitter user to access the description with VoiceOver. Auto-playing media: Users can now simply hover over a .gif or a video for the media to begin playing in the timeline. 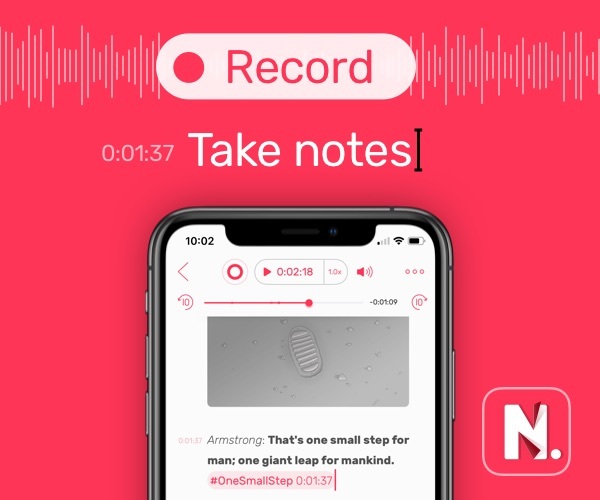 A little audio button in the bottom left corner allows users to toggle audio on and off. Multi-account accessibility improvements: Tweetbot 3 makes it more clear when a secondary account has been authorized in the app, eliminating prior confusion around how to access extra accounts. 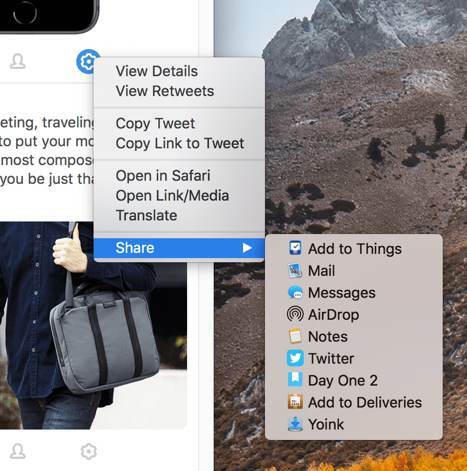 New share extensions: The little gear icon below each tweet includes the same actions as in Tweetbot 2, but now also includes the ability to open a tweet in Safari, Open Media, and Share. Choosing Share brings up macOS’s entire share extension list. No further Favstar support: Favstar has announced it is shutting down on June 19th, so Tweetbot 3 will no longer support activity tracking through Favstar. 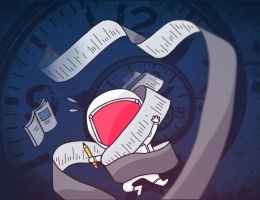 No read-it-later support: Tapbots has eliminated direct read-it-later support, meaning saving tweets directly to Instapaper or Pocket has been eliminated. Read-it-later services that have their own app — like Pocket — can still be accessed in the Share menu. Instapaper users, however, will have to find a different way to save content. Right from the top, I mentioned it’s been a few years since Tweetbot had received a sizeable update. As this is one of the biggest updates to the Tapbots Twitter client in recent memory, Tapbots has released Tweetbot 3 as a brand-new app. New and existing users can upgrade for $9.99 on the Mac App Store to take advantage of the new design and new features. 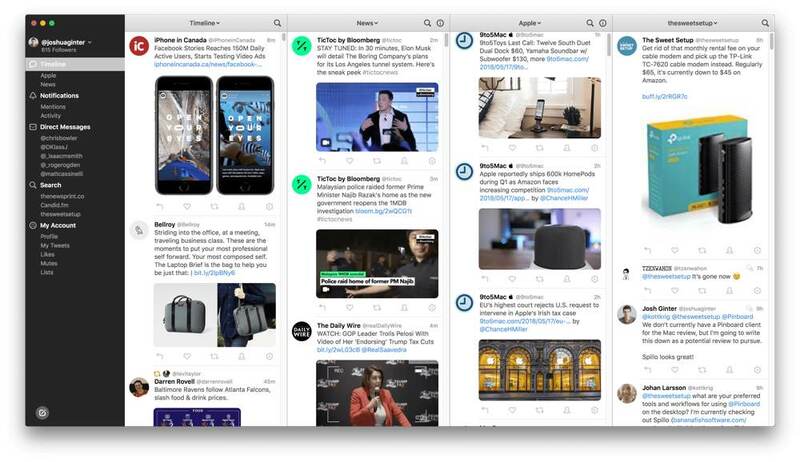 Despite the many changes Twitter has launched at third-party developers, there’s still good reason to believe Tweetbot 3 will be around for the long haul. Twitter will be pricing its API for enterprise users and we have no way of knowing whether Tweetbot will jump into that deep-end, but the most concerning elimination from the API will be streaming services. Tweets, mentions, and other activities could potentially be delayed under the new terms (slated for mid-August 2018). We don’t believe any of these limitations are back-breaking for Tweetbot (at least at this point in time), and we still heartily recommend it as the best Twitter app for the Mac. If you’re fine skipping over the latest design improvements and new features in Tweetbot 3, Tweetbot 2 will still be around as well. It won’t receive any further updates other than an upcoming bug fix, but it’ll continue to operate as it always has. We’ll be updating our review for the best Twitter app for the Mac soon thanks to this big release from Tapbots, which will include discussion on all the new features in Tweetbot 3, as well as highlights from Tweetbot’s major competitor, Twitterrific. You can pick up Tweetbot 3 on the Mac App Store for $9.99.